The Democratic National Convention, reeling from today’s chaotic fiasco surrounding the reinsertion of pro-Israel, pro-God language into the party platform, has announced that President Obama personally intervened to ensure that that language was revived. But Politico is now reporting that President Obama approved the original, Jerusalem-less, Hamas-less language less than a fortnight ago. He didn’t try to change the platform “until after Republicans jumped on the omissions of God and Jerusalem late Wednesday.” And his own party was clearly against it – the people on the floor of the convention probably didn’t even vote in majority numbers for the reinsertion of pro-Israel, pro-God language. They booed Mayor Antonio Villaraigosa, the DNC chairman, off the stage after he rammed through the measure on the third vote. 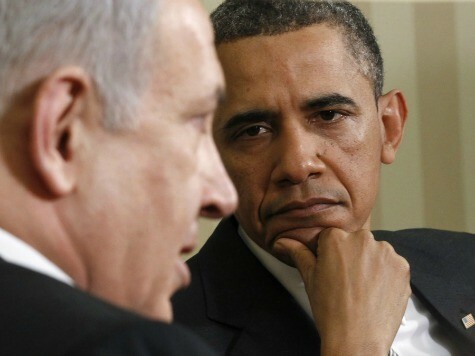 President Obama is not pro-Israel. He hasn’t been since the outset of his administration. Whether it’s military leaks designed to sink an Israeli strike on Iranian nuclear facilities, refusal to say that Jerusalem is the capital of Israel by his State Department and spokespeople, or stating that Israel must begin negotiations at the baseline of the 1949 borders, this administration has easily been the most anti-Israel administration in the history of the State of Israel. And Barack Obama’s desperate last-minute attempt to fix his own anti-Israel mistake by running roughshod over his delegates is simply shameful.